The couple at the center of the storyline are played by Seth Rogen and Rose Byrne, who have enough rapport and chemistry to keep the film engaging. They are believable as new parents Mac and Kelly Radner, and could have carried the film as the only leads. 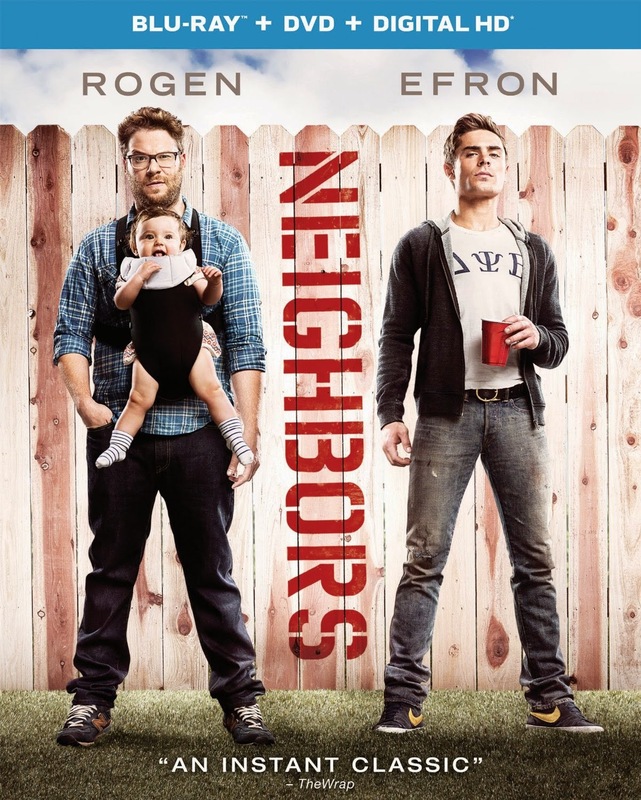 Unfortunately, whether due to star power or merely an obsession with bromance narratives, Neighbors allows several protagonists in favor of an antagonist. When their new next-door neighbors turn out to be the Delta Psi Beta fraternity, it is the perfect set-up for a conflict for the new parents. While this does occur, it bounces back and forth between a feud and friendship. The charming fraternity president is played by Zac Efron, who is made out to be sympathetic enough not to be the villain in the storyline. He also shares nearly as much screen time as Rogen and Byrne, with two separate bromances and additional personal issues to ensure consideration as a co-star rather than supporting. While these sub-plots are interesting enough for Efron’s character to have his own film, it confuses the themes when he invades Rogen and Byrne’s narrative. In other words, there are enough interesting characters for two movies in Neighbors, but perhaps not enough room for them all in one film. Exclusive to the Blu-ray disc is an alternate opening sequence that would have solidified the film even further into the territory of the fraternity rather than the young couple. It is not surprising that this was left on the cutting room floor, although the production values and the effects are elaborate enough to impress as a bonus feature. The Blu-ray also has an on-set featurette and some exclusive deleted/alternate scenes, while also including all of the extras from the DVD, which is also in this dual-format release. These include a gag reel, as well as the infamous ‘Line-O-Rama’ footage, which has been made common in all comedies which rely on improvisation by the actors to improve the humor of the lines. There are also casting featurettes and a digital HD copy of the film included.